At this time of year when I leave the house in the morning for the church office, the light is bright enough that I have no trouble seeing as I go outside to walk to my car. My favorite time of the day is early morning with the sunrise just coming over the horizon. But, when I get to the main road that I take to get to the church, the sun is shining in the east right over the road in front of me, making it very difficult to see. Indeed, I find that I can barely tell if the traffic lights are red or green. I have to drive more slowly and intentionally and find ways to shield my eyes behind the windshield visor while still being able to see enough of what is in front of me to make it safely to my destination. The sun's glow illuminates while its glare obscures. Two chapters prior to this passage of Scripture in Exodus 32, Moses has been on Mount Sinai for a long time as God gives the Law to Moses. At the bottom of the mountain, the people, in yet another clear demonstration of their lack of faith in the God of Israel and in God's chosen leader, now resort to idolatry. When the people saw that Moses delayed to come down from the mountain, the people gathered around Aaron and said to him, 'Come, make gods for us, who shall go before us; as for this Moses, the man who brought us up out of the land of Egypt, we do not know what has become of him.' Aaron said to them, 'Take off the gold rings that are on the ears of your wives, your sons, and your daughters, and bring them to me. '3So all the people took off the gold rings from their ears, and brought them to Aaron.4He took the gold from them, formed it in a mould,* and cast an image of a calf; and they said, 'These are your gods, O Israel, who brought you up out of the land of Egypt!' 5When Aaron saw this, he built an altar before it; and Aaron made proclamation and said, 'Tomorrow shall be a festival to the Lord.' They rose early the next day, and offered burnt-offerings and brought sacrifices of well-being; and the people sat down to eat and drink, and rose up to revel (32:1-6). What a shining sight that golden calf must have been. It likely was not the large size as has often been portrayed in the movies, but surely it gleamed in the sunlight. This new god of theirs (or actually we might say it was an old god they were more familiar with, more comfortable with as opposed to the imageless God of their ancestors) would be their deliverance back to the land of Egypt. The hardships in the desert had made the bitter memories of slavery dim. Amnesia is continual human malady. Light can obscure what is right in front of us blinding us to the truth. The grass is greener on the other side of the fence. The desert is more serene on the other side of the sea. Slavery may not be ideal, but it can have a security all of its own when obscured by the glare of the golden but lifeless idol. In Exodus 34:29-35 Moses comes down off the mountain again with new tablets of stone. The tablets may be new, but the commandments carved on them remain the same. In chapter 33 Moses asks God to experience the divine presence in all of its glory (God's face), but no human being this side of perfection can witness such glory and live to tell about it. But God permits Moses a glimpse of such glory (God's back), and that is enough to change Moses. Exodus 34:30 says that "the skin of his face was shining." 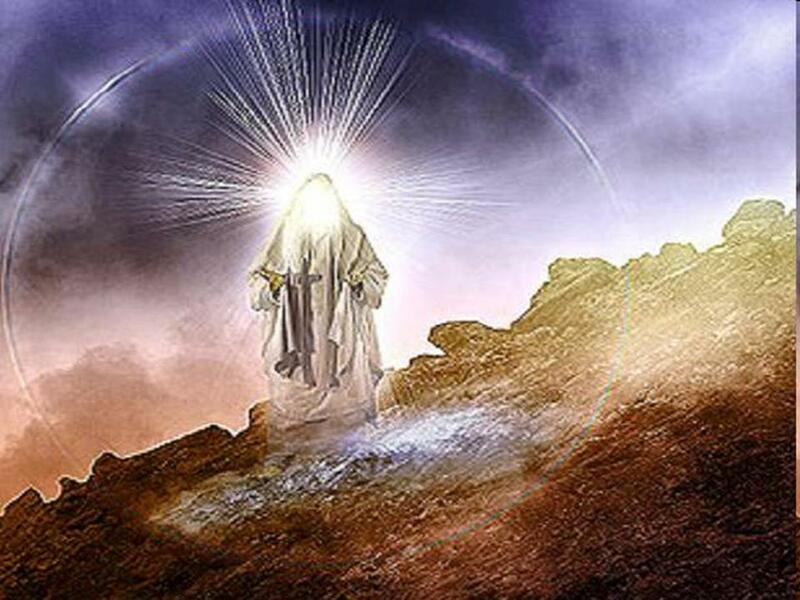 It is understandable that, at first, Aaron and the people are afraid, but over time they come to know that what they are seeing is the kind of light that illumines God's presence and the divine will. As believers our faces may not shine in the kind of radiance that will force us to veil our faces in the presence of others. But, our lives will either distort and obscure Jesus to those around us or illuminate him and the life he offers. Jesus reminds us in the Sermon on the Mount that we are the light of the world (Matthew 5:14). We will either bear witness to the truth of the gospel that will illuminate the way to the cross, or we will create the kind of glare that obscures what Jesus has to offer. We are indeed the Light of the World. What kind of light will we radiate?